Dogs and beer. What can I say, they just go well together. This is why Schlafly Beer‘s annual calendar is bringing them together and for a fantastic cause. Available right now, this year’s calendar features our furry friends that are members of a dozen men and women from the Schlafly team. 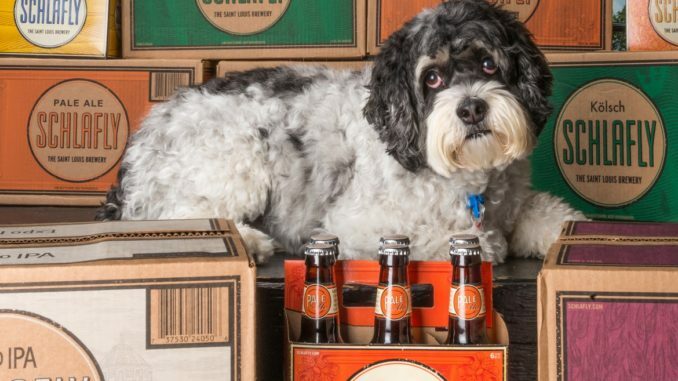 You can stay up-to-date with Schlafly’s beer releases, festivals and more while admiring the lovable fur babies of the brewery’s restaurant, brewing, sales and marketing teams. “Everyone is kind of obsessed about their dogs around here,” says Ambassador Brewer Stephen Hale. “We started the calendars as a way to alert our wholesalers and retailers about the coming year’s plans, but after last year, we realized that our customers really enjoy them as well.” Now when Schlafly fans need a ‘hair of the dog’ fix, they just have to reference their monthly calendar. “It gives them a little glimpse into our personalities and also keeps them up-to-date about new beers coming into the market,” states Stephen Hale. The 2017 DOGS Calendar is now available at Schlafly Bottleworks (7260 Southwest Ave, St. Louis, MO 63143) and Tap Room (2100 Locust St, St. Louis, MO 63103) for $15. A portion of proceeds from all calendar sales will benefit local St. Louis organization, Support Dogs Inc., a national not-for-profit organization providing highly skilled service dogs to individuals with disabilities and uniquely trained therapy teams in the community, offering dignity, hope, and independence to those they serve.